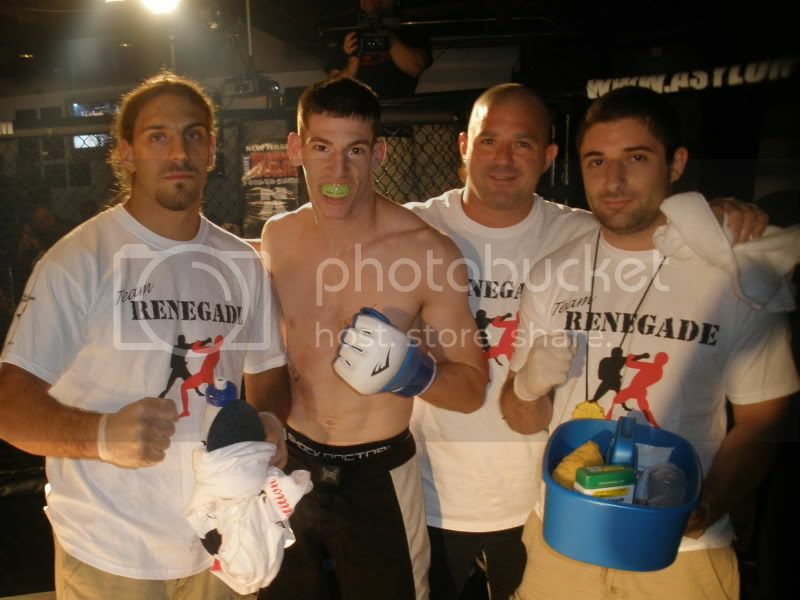 Team Renegade was very well represented at the Evolution Fighting Championships a few weeks ago by Ben Syers. Syers recorded the quickest knockout in Evolution AMMA history when he dispatched the very tough Bobby Ascolillo with a left hook at just 4 seconds into the fight. I train at Team Renegade and I can tell you first hand that Ben hits hard. He works over the bags and his sparring partners with his power and it showed in the fight. To Bobby's credit, even after getting rocked like that, his instincts were to fight. He tackled referee Keith Peterson and mounted him, which is just another job harzard job for referees. Keith did a great job in safely getting Bobby off him and into the hands of the ringside physicians and Bobby will be fine and fight again soon. Here's the video of Ben's spectacular KO.